Nitto BioPharma Inc. (NBPI) offers unique drug and siRNA delivery solutions by designing novel biodegradable delivery vehicles with the combined ability to target specific cells and efficiently deliver a therapeutic moiety to the cells. NBPI is developing a first-in-class drug for the treatment of fibrotic diseases of the liver and of other organs. The first clinical indication being tested is liver cirrhosis, or scarring of the liver, an incurable disease which afflicts 6 million people worldwide. View Nitto Global press release here. 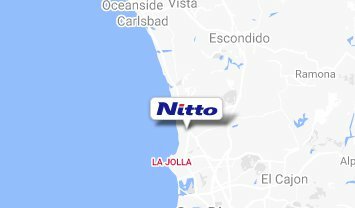 Leveraging the long standing success and track record of Nitto, NBPI has created a new and efficient business unit that allows pharmaceutical products to be brought to market at a fast pace.